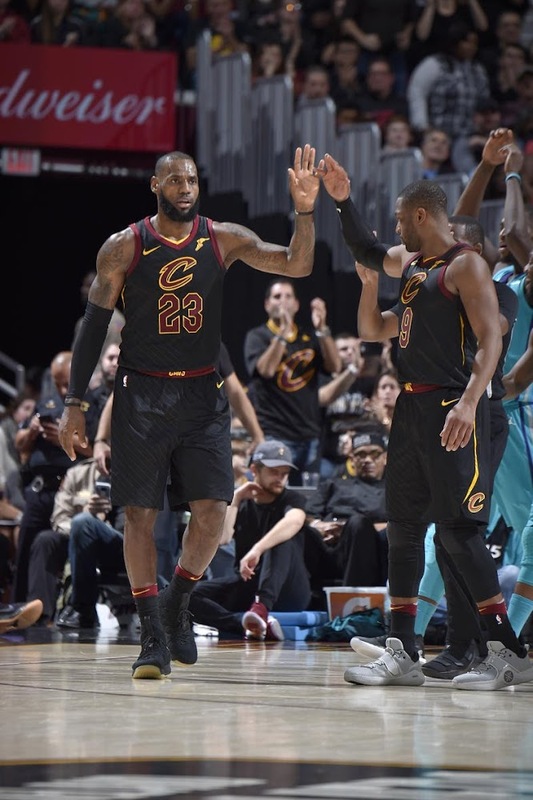 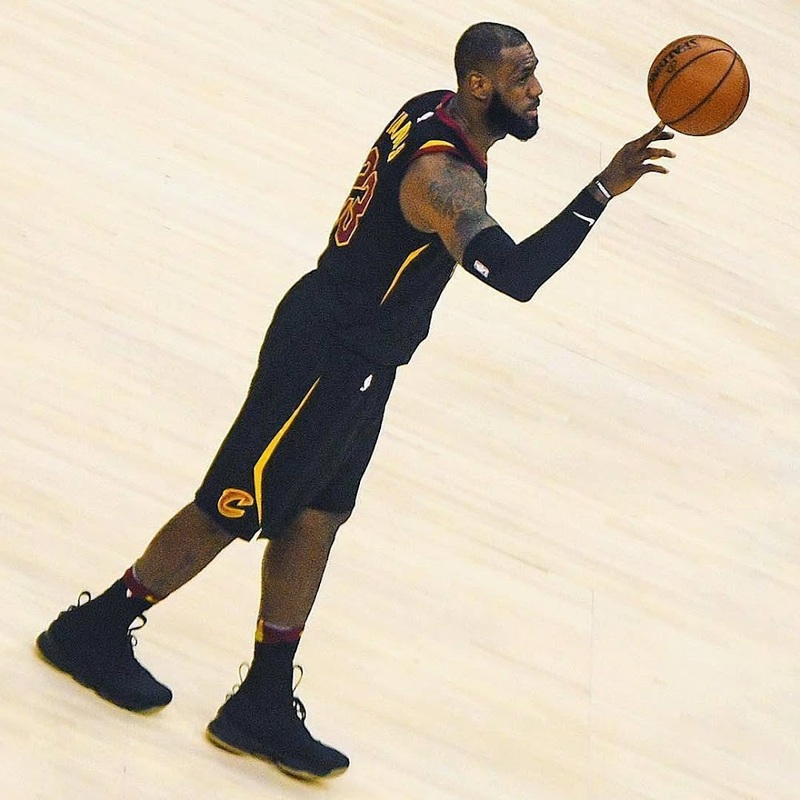 The Cavaliers’ sleeveless black jerseys already had LeBron James’ stamp of approval, who helped design the threads, however a change in shoes might have been the difference Friday night. 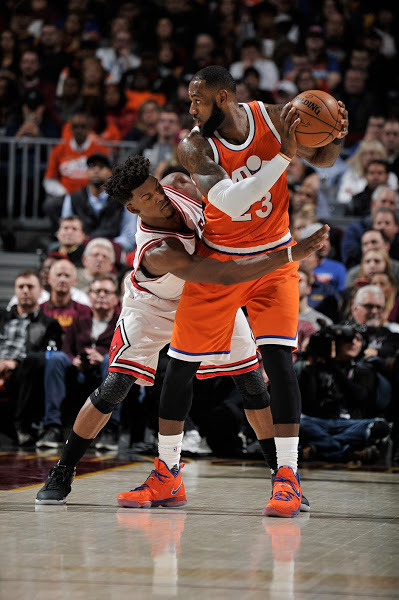 James had season highs in rebounds and assists in his 57th career triple-double. 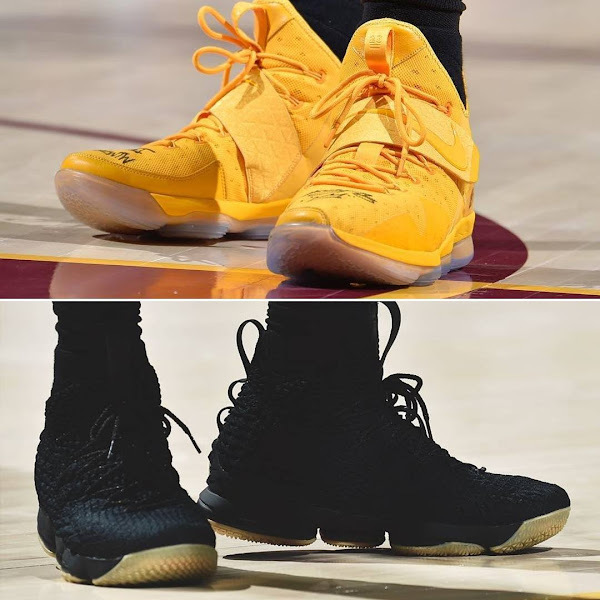 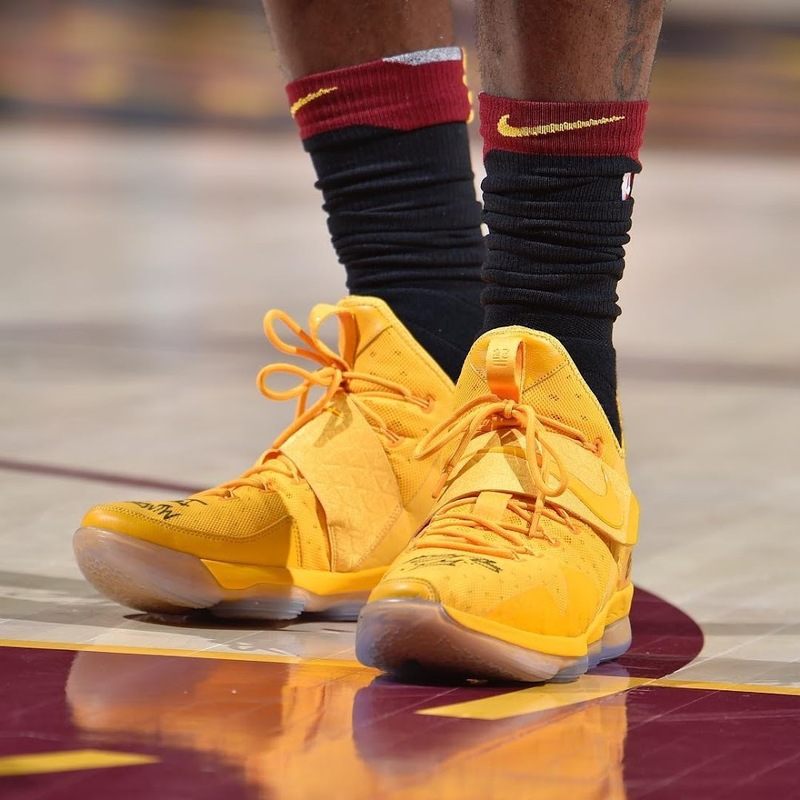 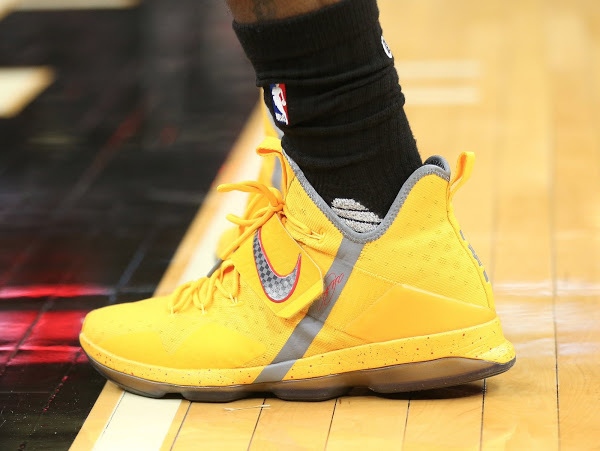 He switched from yellow LeBron 14s to black LeBron 15s after scoring six points in the first half. 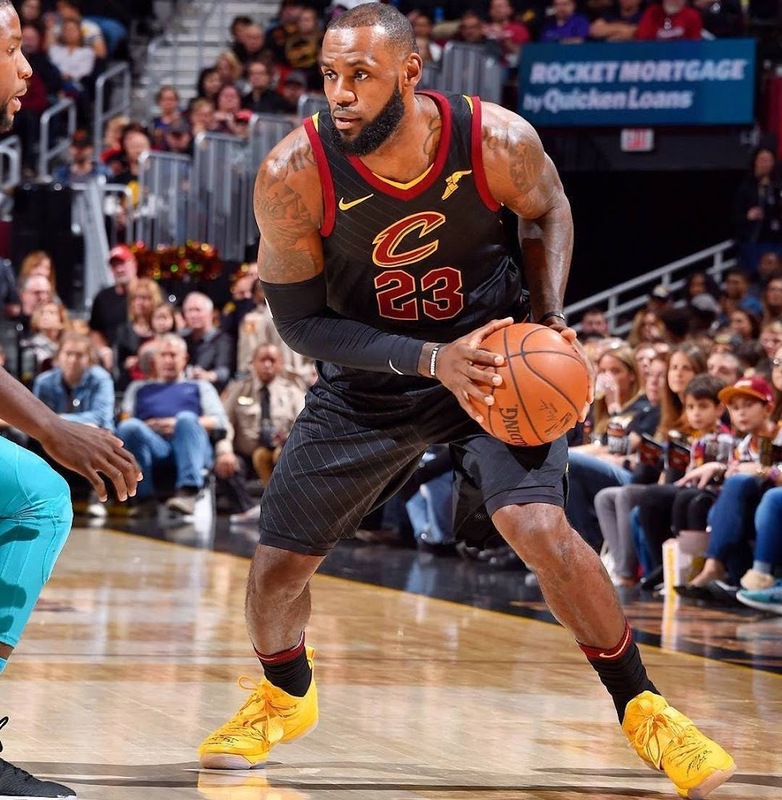 He finished with 27 points, 16 rebounds and 13 assists. 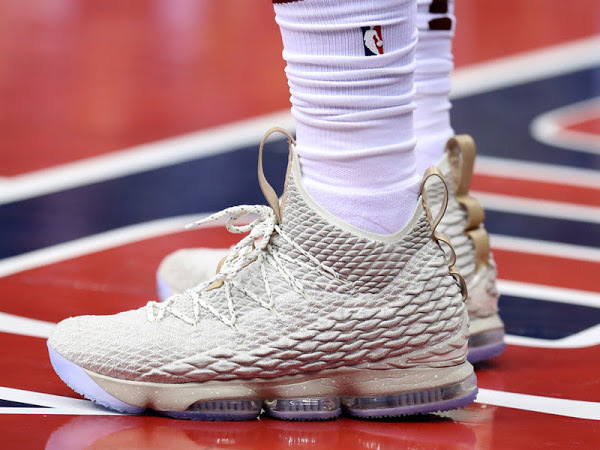 In the first half James wore a new colorway of the Nike LeBron XIV. 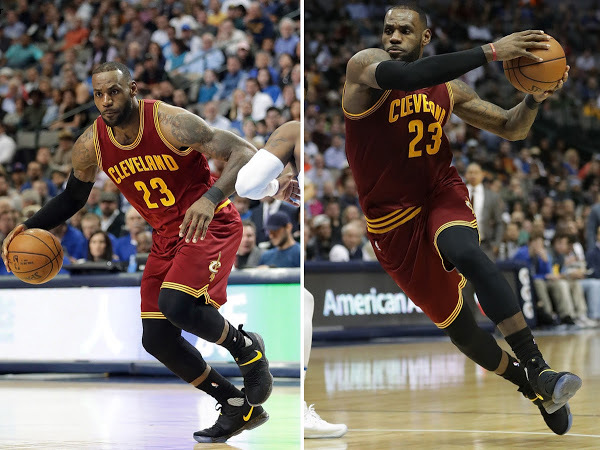 Despite wearing 40 different colorways last season he still managed to debut a brand new style. 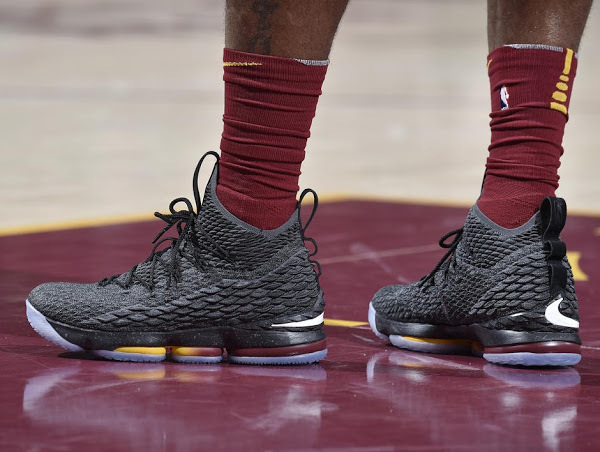 This had me worried about the 15s lacking something because LeBron seems to avoid it now. 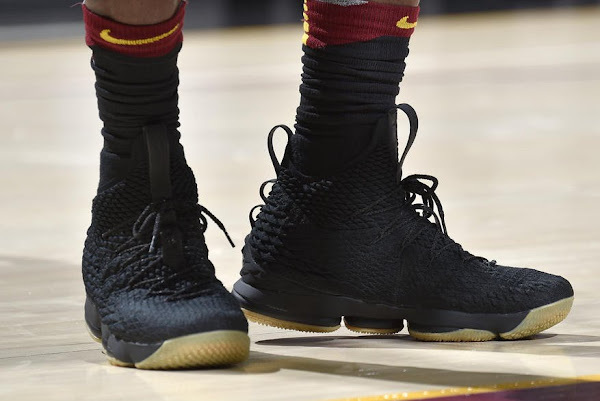 However, in the second half he went back to the Nike LeBron XV with the Statement colorway, which was released on Black Friday.